Foreclosure is the process of having your home repossessed by your mortgage lender, and it can spell the beginning of a lot of headaches, confusion and problems. The rules aren't exactly the same in all 50 states, so you may be understandably unsure of what happens next if you lose your home. Some common themes apply to most foreclosures, however. The differences lie mostly in the details. Most banks don't want to own real estate, so they'll put your property up for auction as part of the foreclosure process. This isn't to say that they'll take rock-bottom dollar for it, however. In some states, lenders can open the bidding at the sales price they hope to achieve. They might also set a reserve, a price under which they simply won't sell. If the house sells at auction, a new owner takes ownership, sometimes immediately. If the house doesn't sell, your lender retains possession and will probably list it for sale with a real estate agent. If a winning bidder takes your property, some states allow for redemption periods during which you can try to save your property. These can be anywhere from a few days to several months. Redemption requirements can vary a great deal from lender to lender and from state to state, but you must usually pay off the mortgage, as well as interest, penalties, and costs related to the repossession or auction. It's possible that your property won't sell either at auction or through a real estate agent for enough money to cover your outstanding mortgage. If this happens, you might be on the hook for the deficiency, the amount between what the house sold for and what your lender was able to get for it. In some states, the lender can sue you for the difference. You may lose your home and still have a major debt associated with it as well. 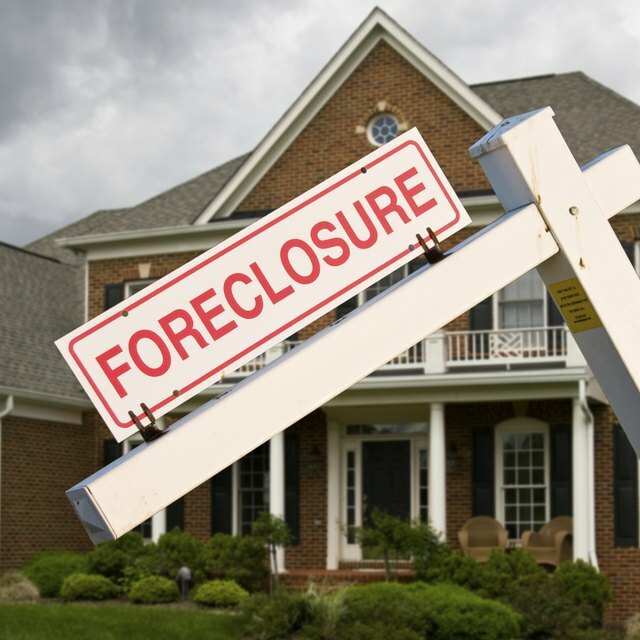 Will the Mortgage Company Sue if You Lose Your House to Foreclosure? On the other hand, the lender may agree not to pursue you for any deficiency balance. In this case, the balance is "forgiven debt," and in the eyes of the Internal Revenue Service, it's income to you. Someone gave you money that you don't have to repay, so you must claim it on your tax return. Fortunately, federal law provides some exceptions to this rule. If you live in the home and the forgiven debt was your first mortgage or an equity loan that was used to improve the house, you won't have to pay income tax on the forgiven deficiency. Alternatively, you can also prove that you're insolvent – your debts are greater than your assets – and file IRS Form 982 with your return to ask for an exemption. After the foreclosure is over, you're faced with moving on with your life. Some lenders have "cash for keys" programs that offer a little money to foreclosed homeowners if they vacate the property without fuss and leave it in good, clean condition. You could potentially use these funds to rent a new home, because it might be a little while before you can qualify for a new mortgage. Fannie Mae has a rule that you must wait five years after foreclosure to qualify again, but the FHA allows you to finance again after three years. The foreclosure will remain on your credit report for seven years. RealEstate.com: What Happens After Foreclosure?